Log on to the server and start QuickBooks by double clicking on QB shortcut. Click "Open or restore an existing Company"
Select desktop in left pane and open the shortcut folder on your server's desktop, now you may find the company file inside that. 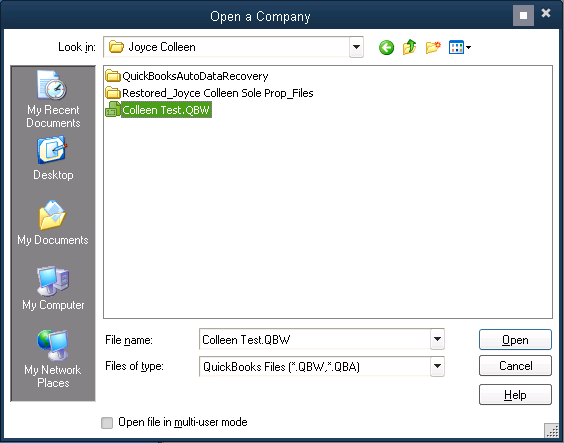 type will be "QuickBooks Company File". 5. If necessary also check the box to "Open file in multi-user mode"